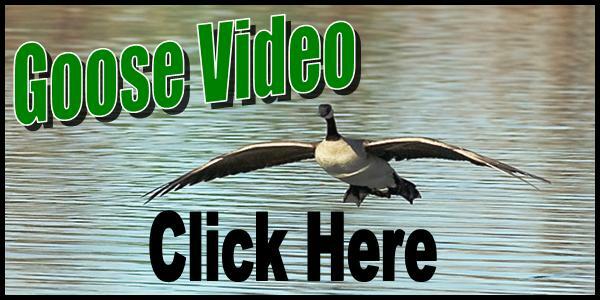 When migratory Canada Geese enter the Seaway region, it’s in numbers that astound waterfowl hunters. The sight of 4,000 Canada’s bearing down on your decoys is something that happens every fall in the fields that we hunt. While limits are smaller than our September shoot, hunters have the opportunity to witness 10 times the geese on most days. When fields flood, there is also the chance to combine a goose hunt with some quality puddle duck shooting. The migratory Canada goose hunting season is also a perfect time to combine a multiple day trip with open water gunning (ducks), back country (ducks) or sea duck hunting! The Seaway Guides are “World Class” callers. A high level of expertise is needed when working migrating Canada’s. High volume “Traffic Calling” along with movement in the rig can seduce the largest flocks. Our team does this with a high level of proficiency! Flexibility is always important when undertaking any type of waterfowl hunt. Conditions change daily and waterfowl hunters that can react quickly are always in the best position to have the most memorable hunts. 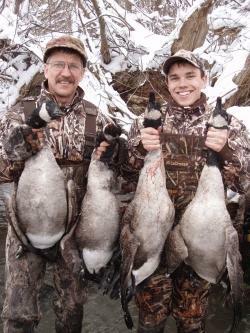 Many of SWP’s fabulous goose shoots were the result of duck hunts gone awry. Heavy wind or rain can force birds to the fields! Gunners willing to change plans at the last minute can reap the rewards of a smart decision!